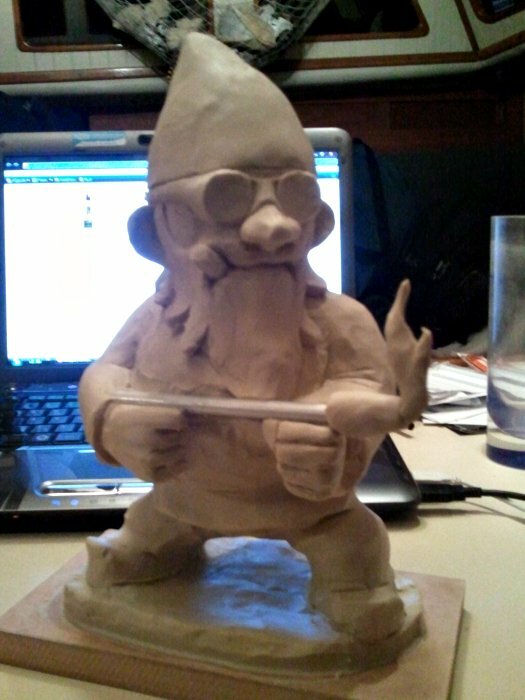 Not pictured just to the left of that frame is the very rough early version of the Heavy Machine Gun Gnome. If everything goes according to plan, I should have all three wrapped up and molded by the end of the weekend. 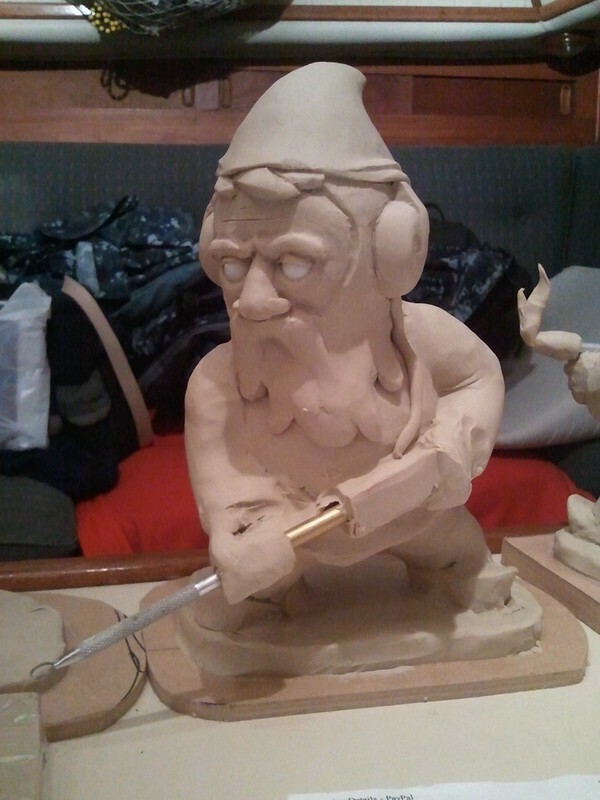 In order to pay for the molding and casting material for these guys, I've listed yet another pile of unpainted gnomes in my etsy shop: http://www.etsy.com/shop/thorssoli.